A fun and playful Thanksgiving twist on the favorite nursery rhyme “The Itsy Bitsy Spider”! The itsy bitsy pilgrim sailed the ocean blue. On the Mayflower to a home that’s new! They helped build the houses, they helped shovel snow. Then some itsy bitsy new friends came by and said hello. 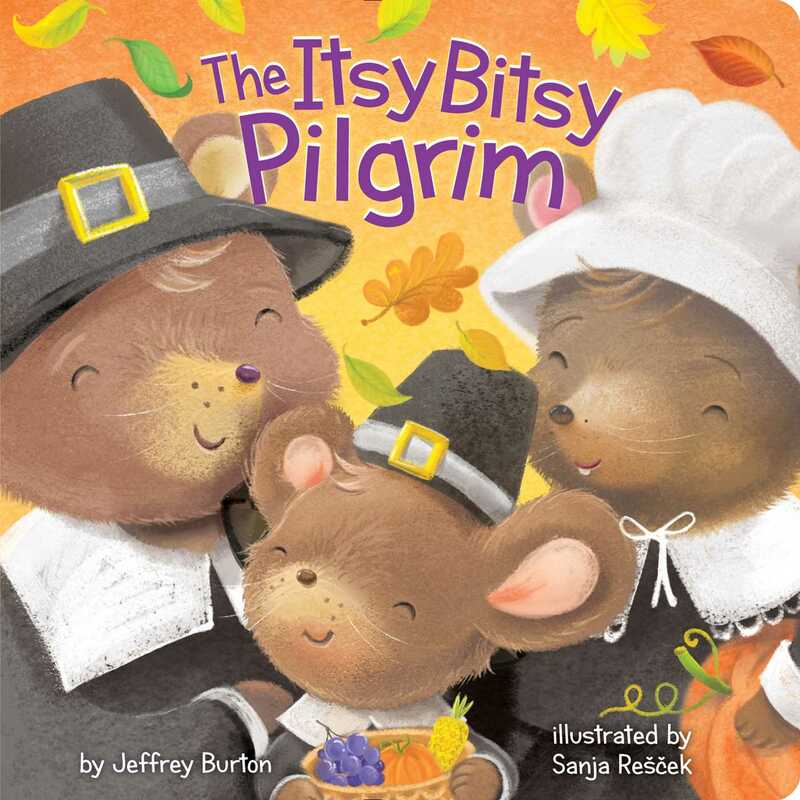 This little pilgrim sails across the ocean and spends the first Thanksgiving with new friends. Little ones will love this fresh holiday spin on the classic nursery rhyme, “The Itsy Bitsy Spider”!